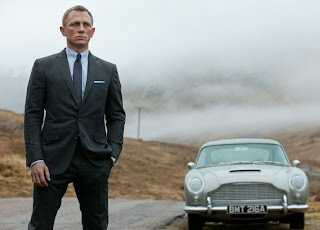 Sam Mendes, the director of the latest Bond film Skyfall, gave an interview over the summer where he likened James Bond to the Doctor Who franchise in that each new actor who assumed the role wasn't just recast in the role, but regenerated Bond into a new character. Like each new Doctor, each new Bond is the same character but different at the same time. This is really a great way to look at it and renders every "Best Bond" argument pointless. The problem is that the Doctor is an alien who has a long lifespan and regenerates instead of dying. Bond is human. With Roger Moore and Sean Connery having been essentially the same age, we saw the character age linearly for 25 years. You could believe that the Bond bedding Grace Jones and battling Christopher Walken in A View to a Kill was the same character that bedded Ursala Andress and battled Specter in Dr. No. Then you regenerate Bond into Timothy Dalton in The Living Daylights, make the character twenty years younger, and put him in a movie that makes no direct reference to any detail or situation from a previous film, and we're left as an audience not sure what to think. Dalton's Bond who beds Miryam D'Abo and battles Joe Don Baker would have been a teenager in the early sixties. He couldn't be the same person, could he? This is where time starts to stretch and pull in the Bond reality, and it would continue through the Brosnan years. 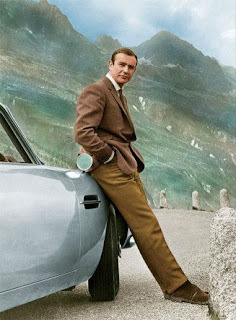 Is Bond just ageless? Or is this a different person with the same name? Is "James Bond" just the name they give any agent with the license to kill number "007"? Who knew? No attempt was made to answer those questions, and for the most part they didn't matter. But it still hurt the franchise. It added a level of the ridiculous to every plot-line, which became a liability heading into the new century. In the post Bourne Identity post 9/11 world, people didn't want ridiculous spy movies, but no matter how hard you tried, you couldn't make Bond real as long as he was going to be played by an actor who wasn't even alive when Goldfinger was released. Yes, Pierce Brosnan was, but he was 11. I'm talking about Daniel Craig. Whoever was going to replace Brosnan was going to be younger than the franchise itself. However, just before the release of The World Is Not Enough, an interesting thing happened that gave the producers the perfect solution. Through a complicated series of happenstances, MGM/UA acquired a tenuous claim on the character Spider-Man. Meanwhile, Sony Entertainment was trying to develop Spider-Man into a franchise launching film. On the flipside, Sony through acquiring Columbia, acquired the rights to the book Casino Royale, which Flemming had sold off separately before the Eon produced Bond franchise was launched. They struck up an agreement with Kevin McClory of Thunderball and Never Say Never Again fame, and announced they were going to launch their own Bond franchise. This left the possibility of two studios launching two competing franchises about the same characters. As that would have been disastrous for everyone concerned, in 1999 they worked out a deal. MGM/UA gave up its rights to Spider-Man, and Sony gave up its rights to Bond. That put Casino Royale under the Eon blanket for the first time. And Casino Royale was the first Bond novel. And Batman Begins had just successfully "rebooted" the Batman franchise out of the stylized Burton-Schumacher years and into the grounded-in-reality Christopher Nolan years. Bingo! The perfect solution to the ageless Bond: start over. Show us the character's origins. Ground the action in reality, and make a spy movie that will play to modern audiences. That, ladies and gentlemen, is how we got Casino Royale and the Daniel Craig years. I do love the Daniel Craig Bond movies.